Edward Teleky opened this family business in 1970. A master watchmaker, Ed serviced many of the D+H Railroad watches over the years. He kept many of the community members “wrist watches” running correctly and helped many select that perfect diamond engagement ring. Ed retired in 2005, and during that time his daughters took over the business and are working hard to continue his tradition of excellence. We install watch batteries while you wait as well as take links out of all watch brands. Whether you are an old friend or a new acquaintance, we look forward to being of service to you in the future. Stop in and see all our new and expanding gifts along with our unique and beautiful jewelry. Simply comfortable clothing for men, women, and children. Personal styling and private shopping appointments and parties available. Welcome to Silks and Treasures Consignment Store where we sell new and gently used clothing for all ages. We have been in business for 15+ years. We sell just about anything, clothes, books, toys, collectibles, furniture, gift items, baby items, etc…. We pay consignors 50% of the selling price. 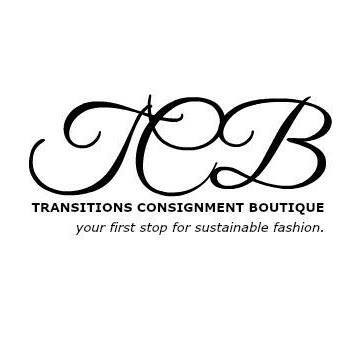 Transitions Consignment Boutique, your first stop for sustainable fashion is located just off I-88 on Dietz Street in Oneonta, NY. TCB, specializes in high-quality clothing and accessories for women! Don't forget to follow us on Facebook and Instagram! Underground Attic is a boutique offering restored vintage clothing and accessories ranging from the 1840's to the 1980's. Every piece is researched for their history and picked for their modern relevance. Wolf Wilde is a full service jewelry store offering old world workmanship in a modern setting. Featuring a selection of fine jewelry produced on site and small scale workshops from around the world. Offering gold, silver, gemstones and diamonds as well as estate items and custom made pieces.